Even Disney was surprised when its Tim Burton directed, live-action version of Alice In Wonderland broke a billion dollars at the worldwide box office. The studio quickly started thinking about a sequel, but it’s only now that it’s moving towards release – with Muppet Movie helmer James Bobin stepping in for Burton. A couple of posters have now arrived for the movie, featuring the return of Mia Wasikowska’s Alice and Johnny Depp’s Mad Hatter. Indeed, most of the original cast is returning, including Anne Hathaway, Helen Bonham Carter, Michael Sheen and Stephen Fry. The biggest edition is Sacha Baron Cohen as the evil Lord Of Time, who has a plan to turn Wonderland into a barren waste, which only Alice can stop. The film is due out May 2016. Everything we’ve seen for Guillermo Del Toro’s haunted house tale, Crimson Peak, has been impressively gothic, and that’s certainly true of the new poster that’s been released and which you can see above. It’ll be in cinemas in October. Normally you can’t keep Guillermo Del Toro from talking about his movies, but he’s been a tiny bit more secretive with Crimson Peak. But the shades of his haunted house are being pulled back with a new trailer. As you’d expect from the director it certainly looks stylish with Tom Hiddleston, Jessica Chastain, Charlie Hunnam and Mia Wasikowska getting a little creepy. 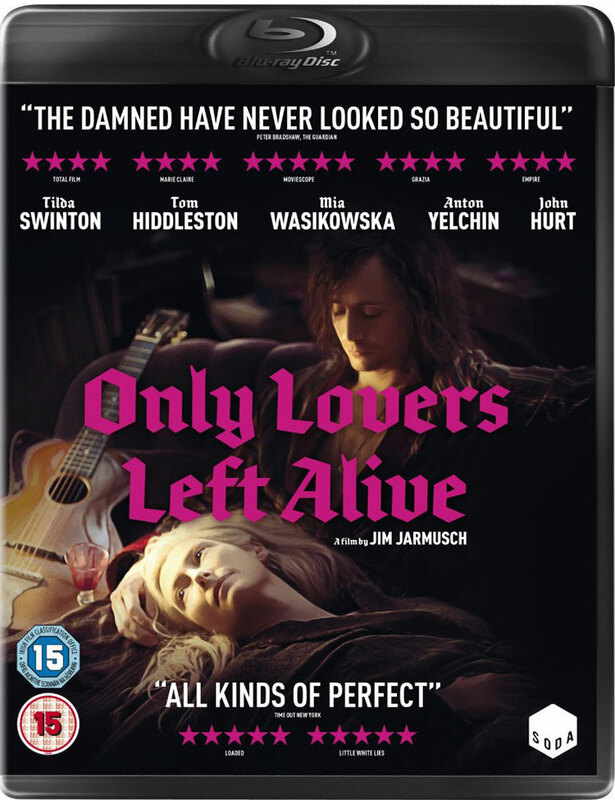 Like many Jim Jarmusch movies, Only Lovers Left Alive is the sort of film where one chunk of the audience will be wondering what sort of tedium they’ve just had to sit through and another chunk will be hailing it as a masterpiece. He is as impressively idiosyncratic director and his films determinedly refuse to be boxed. Many have described him as a cinematic poet, and it’s a very good description. What he’s great at is creating mood, feeling and thought, where narrative isn’t the driving force, it’s merely the thread that pulls the fabric together.